4k00:19Agricultural work on a tractor farmer sows grain. Hungry birds are flying behind the tractor, and eat grain from the arable land. 4k00:34Agricultural work on a tractor farmer sows grain. 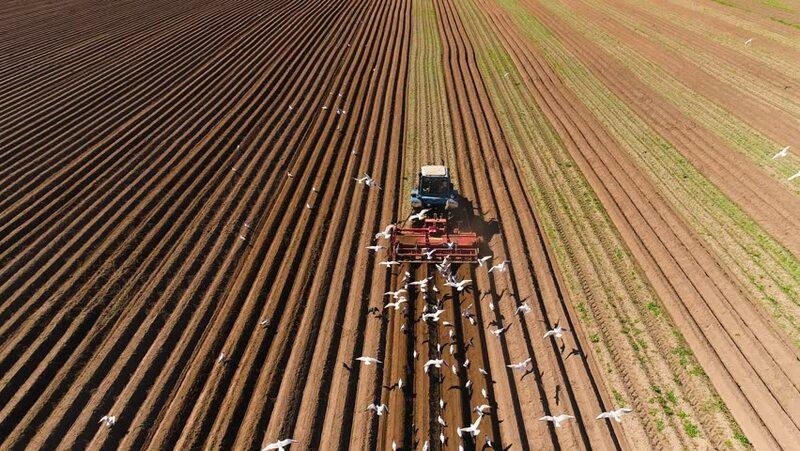 Hungry birds are flying behind the tractor, and eat grain from the arable land. hd00:20Agricultural work on a tractor farmer sows grain. Hungry birds are flying behind the tractor, and eat grain from the arable land. hd00:26Car travels into light in a tunnel. Tunneling process, walls are covered with special waterproof textile.